How do you prepare for a nearly two-hour heated “chemo bath” that circulates through your abdominal cavity, killing deadly cancer cells? You tour Pittsburgh and savor its traditional cuisine, at least that’s what I did. I also counted on lots of faith, prayers, support and confidence. After my doctor diagnosed me with peritoneal mesothelioma, I learned that I needed to undergo Hyperthermic Intraperitoneal Chemotherapy (HIPEC), known as a hot chemo bath. It’s one of the most innovative, yet invasive cancer treatments. Once all visible tumors from inside the abdominal area are removed in a procedure known as cytoreduction, the surgeon administers a heated, sterile chemotherapy solution through the peritoneal cavity for about 90 minutes. In my case, the surgeon used mitomycin. This type of chemotherapy treatment is designed to destroy cancer cells that cannot be seen. Since I couldn’t find a surgeon in my home town of Baton Rouge, La., I had to book a flight to Pennsylvania, more than a thousand miles away from family and friends. I chose to think of my procedure as a life-changing vacation. I was going to arrive in Pittsburgh with peritoneal mesothelioma and leave cancer-free. My husband and I arrived a few days before the HIPEC so that we could hang out and relax before the big day. We spent the day exploring Pittsburgh, including a ride on the Duquesne Incline. 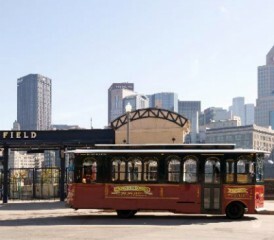 It’s one of the area’s most popular attractions, an inclined railway that carries passengers up and down Mt. Washington, offering magnificent views of Pittsburgh’s Golden Triangle. The two of us enjoyed lunch atop Mt. Washington’s Grandview Saloon & Coal Hill Steakhouse. I ate the best buffalo chicken dip ever. I also ordered a Pittsburgh salad tossed with lettuce, tomatoes, cheese, steak and french fries, oh my! We then walked around Station Square and later embarked on a Just Ducky Tour. It’s a one-hour ride on land and water through Pittsburgh on a converted WWII amphibious military vehicle. After buying another T-shirt for my Hard Rock Cafe collection, it was off to dinner at The Cheesecake Factory, one of the most carbohydrate-intense restaurants around. I was determined to eat as much as possible because I knew that I wouldn’t be allowed to enjoy anything solid for weeks after treatment. 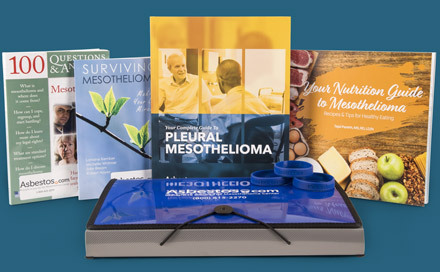 Free information about peritoneal mesothelioma, books, wristbands & more for patients & caregivers. In contrast to the touring and constant eating I enjoyed with my husband on our first day in Pittsburgh, I had to fast the following day and down gallons of what I call the ‘MiraLAX Punch’  a nasty combination of the laxative and Powerade sports drink. Restaurants surrounded my hotel and I was “starving to death,” but the last thing I needed was to smell the aroma of something delicious and fried while taking that laxative concoction. At one point, I turned off the television in the room because it kept running commercials from Burger King, McDonald’s, Chili’s or some other restaurant. I felt weak and nauseous. I knew that I had to cleanse my body, and part of me felt that starving a patient was definitely a good distraction from the approaching surgery. In fact, the distraction proved so great that I didn’t have time to freak out about the procedure. My chariot arrived at the hotel at 3:30 a.m. to carry me off to my three-week stay at UPMC Passavant Hospital. When I arrived, I was surprised that I was taken back to surgery prep only five minutes after checking in. In retrospect, that’s probably a good thing. It gave me little time to think about what was going to happen. Let’s face it, we mesothelioma patients have limited treatments available to cure the cancer. HIPEC may be invasive, but it will most definitely change your life for the better. If you must travel out of your home town for treatment, make it a vacation. Pack good reading materials and enjoy the sights, sounds and food. It makes for some great memories. However, it’s been three years after treatment and drinking Powerade is a memory I do not wish to rekindle. Kasie Coleman is a wife and mother of two boys. She was diagnosed with peritoneal mesothelioma on July 1, 2010. From that day on, she decided to fight and win her battle with cancer. Today she is the proud owner of Sugarbelle, a neighborhood cupcake bakery in Baton Rouge, Louisiana.